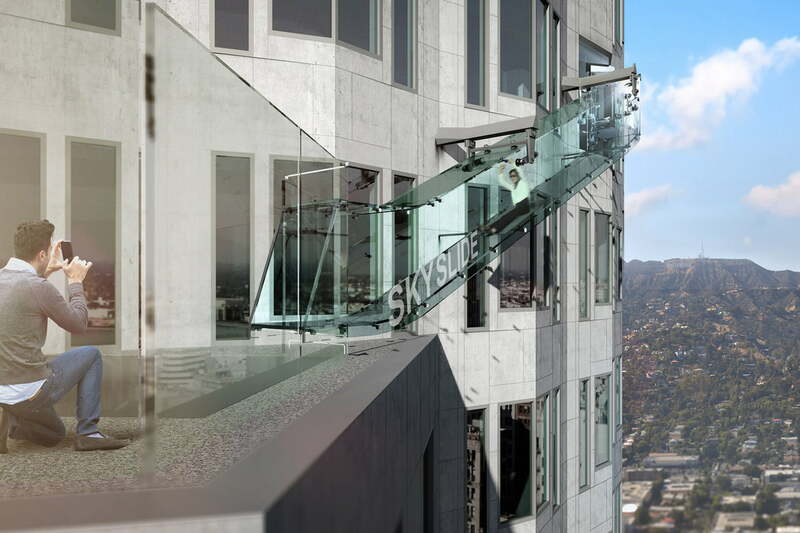 Opening to the public in Los Angeles this weekend, Skyslide is a new attraction that lets people slip down an all-glass slide mounted to the side of the U.S. Bank Tower. Starting on the 70th floor, riders hop onto a gray mat and inch forward to start the 45-foot descent down to the 69th floor. 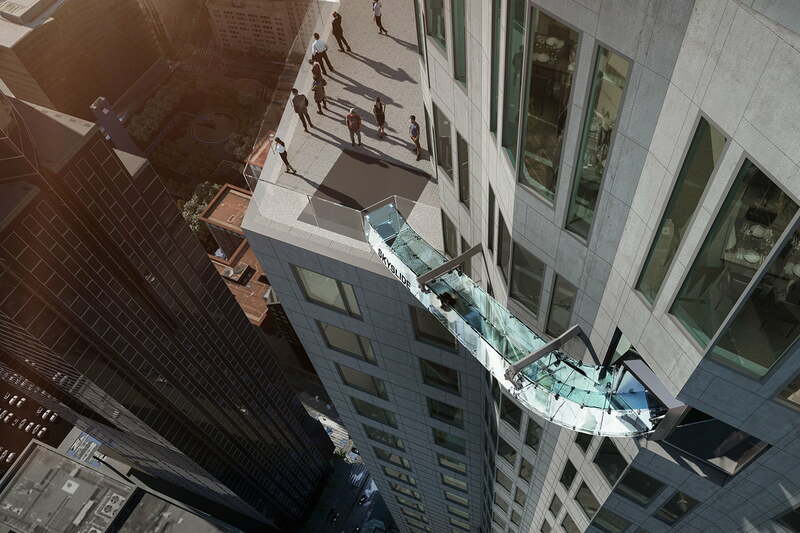 Slipping along panes of glass just 1.25 inches thick, riders will be able to see all of downtown L.A. as they quickly descend onto a safety mat waiting below. Costing roughly $3.5 million to build, the Skyslide is just one component of the $50 million OUE Skyspace LA renovation project. This renovation includes California’s tallest open-air observation deck, ideal for tourists that are visiting Los Angeles. On a clear day, visitors will be able to see all the way out to the ocean as well as the mountains to the north. In addition, visitors to the attraction will be able to check out a 360-degree digital Topography Wall of Los Angeles. This will include information on various landmarks, different neighborhoods, and other points of interest around the city. The digital area of the observation deck also includes a “Silhouette Wall” that creates a mirror image of someone standing in front of the wall using pixels. Admission to the observation deck will start at $19 and increase by $8 each time a visitor wants a turn on the Skyslide. The city is also planning to rent the area out for events, useful for local businesses that want a unique venue for a meeting. The city will be hosting an all-day block party to kick off the opening of the Skyslide this Saturday. Late night talk show host Jimmy Kimmel sent his sidekick Guillermo to check out the terrifying slide this week.